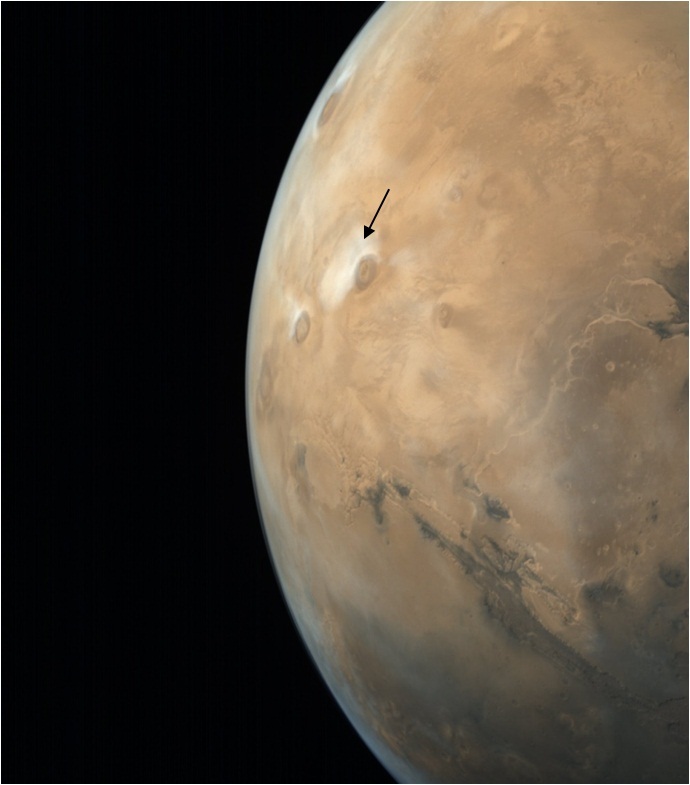 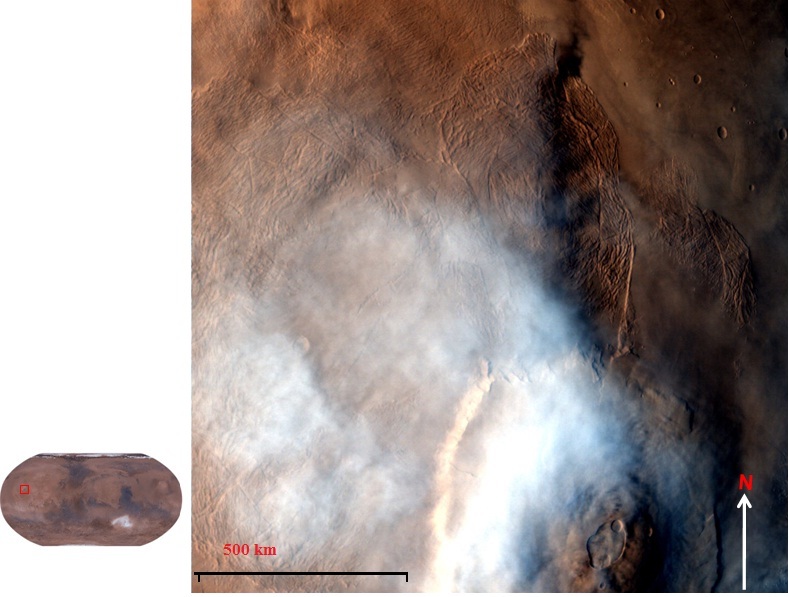 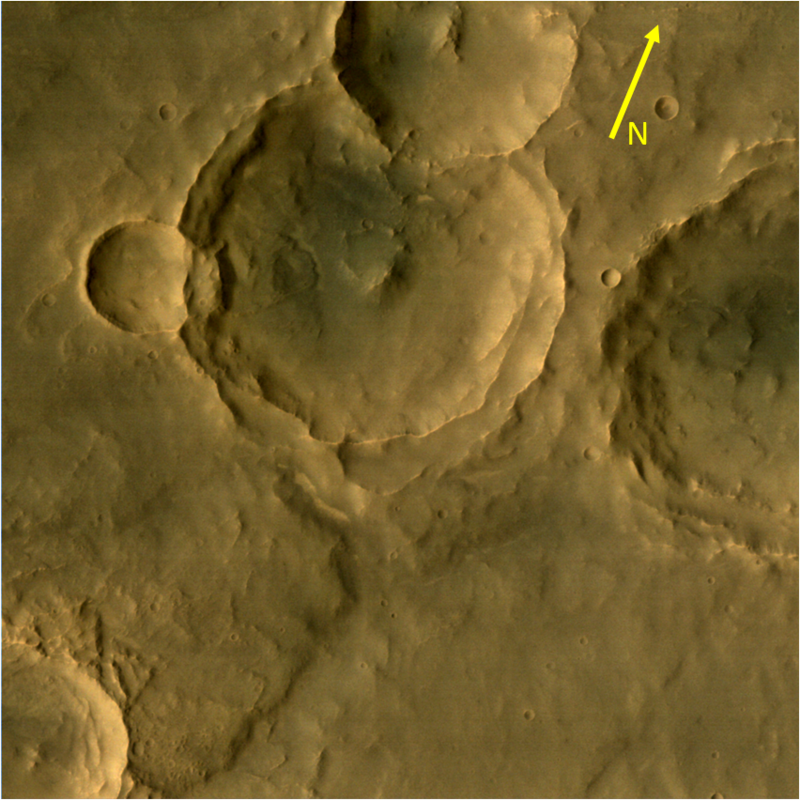 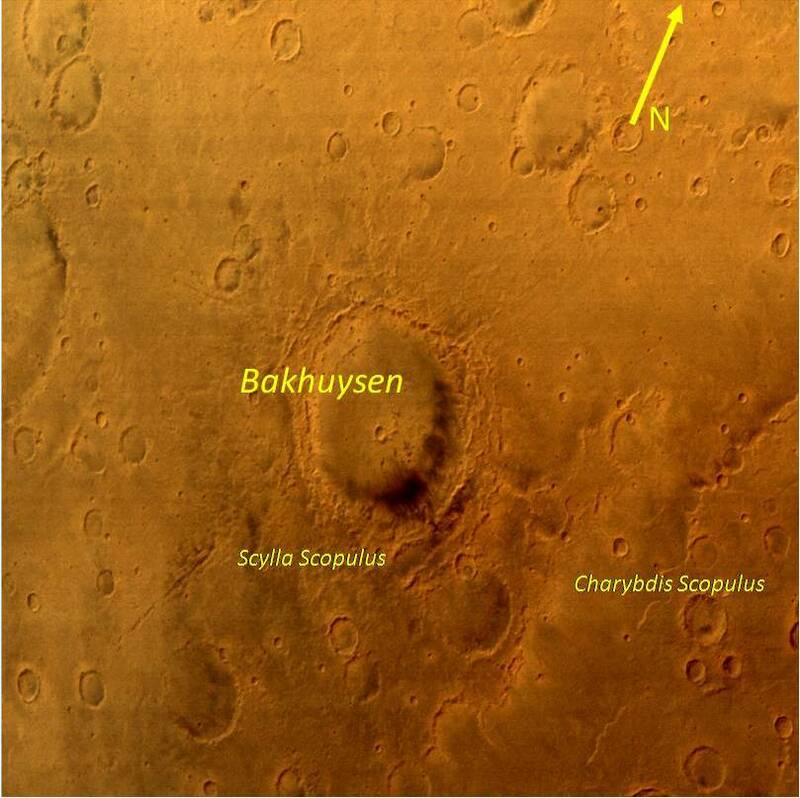 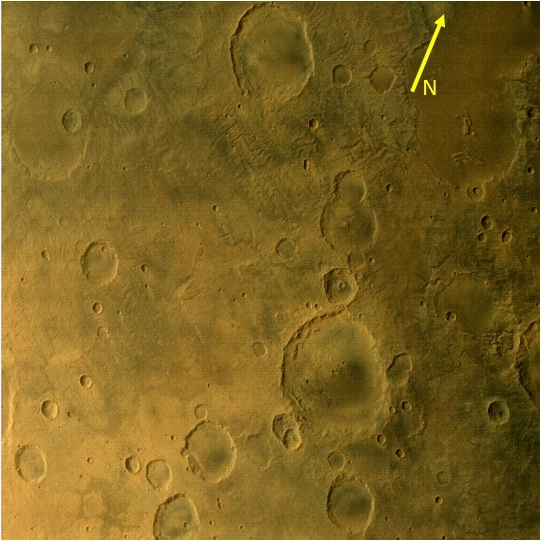 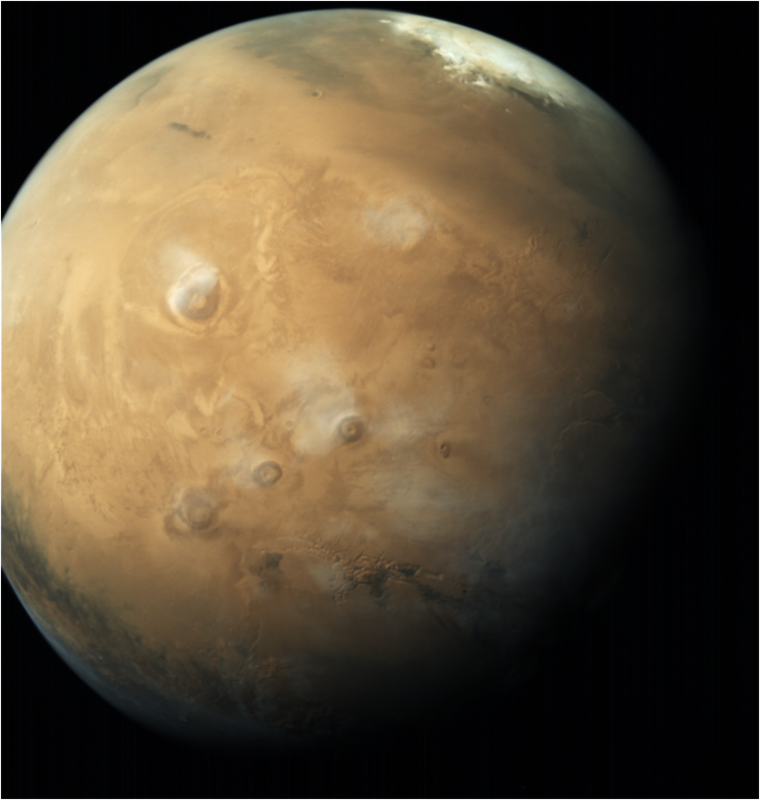 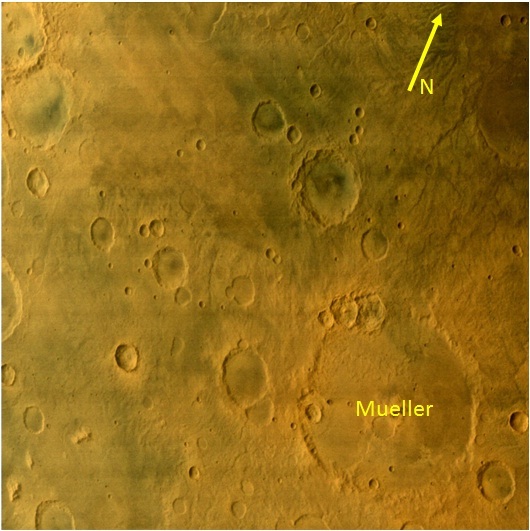 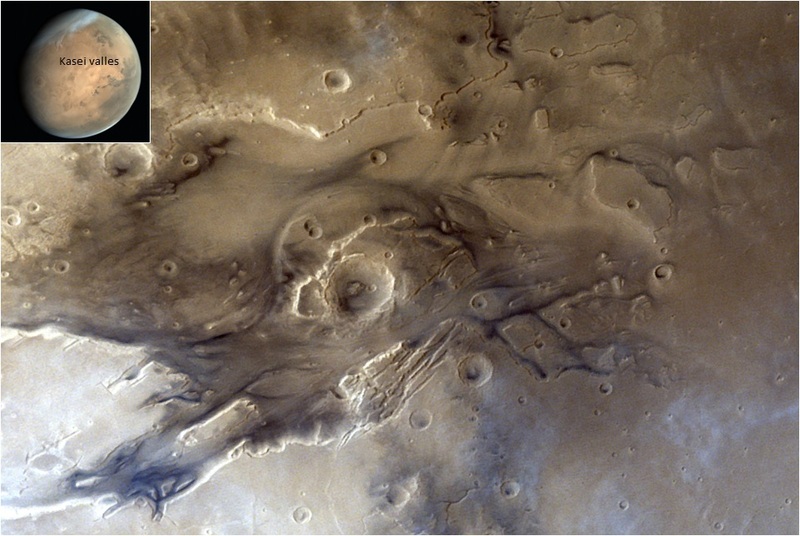 MCC image taken over one of the brightest desert regions of Mars called Thymiamata located at the areographic coordinates (10°N, 10°W) surrounded by Shardi, Trouvelot, Rutherford, Radau, Marth and Kalocsa craters outside the image frame. 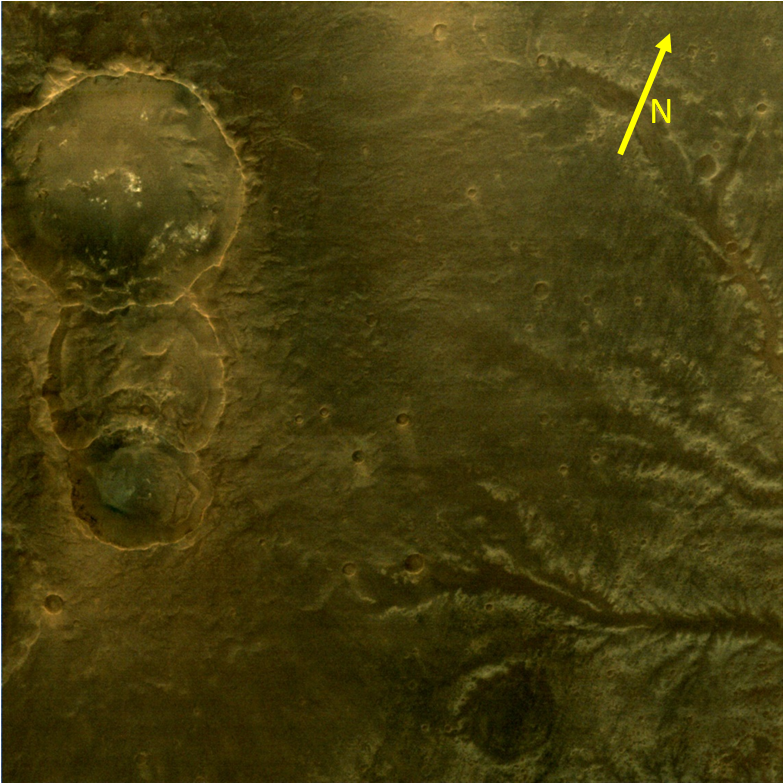 The features found in this image are yet to be named, other than the Thymiamata region. 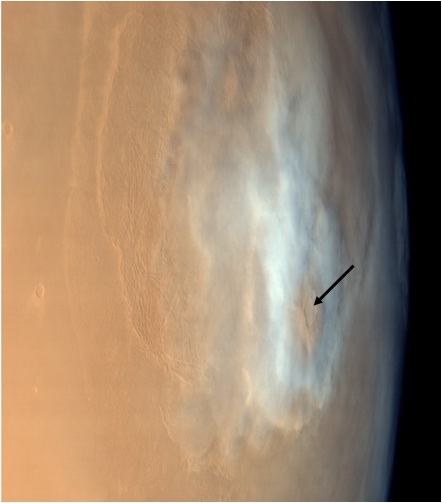 This image was captured on August 13, 2015 from an altitude of 4490 km with a resolution of 225 m and has been enhanced for visual appeal.